I’ve never done a review of a place before so this is interesting! 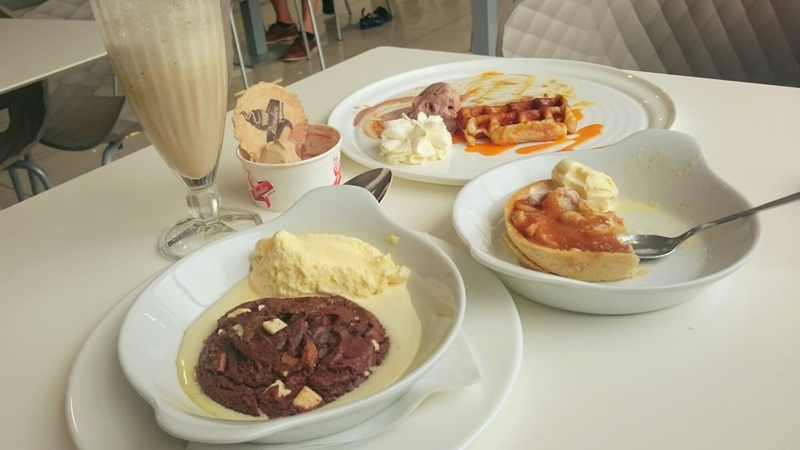 One evening, J and Q were discussing a nice place to go eat ice cream when I realised that I, too, also had free time to go try some of this good stuff! So off we went. Paradice Gelateria on Harbourne High Street is about 10-15 minutes away from Birmingham city centre by bus, using the 22, 23, or 24 routes which all go along this road. The Gelateria is right next to one of the bus stops. It was my first time visiting this area and I saw about ten charity shops just walking along afterwards with Q and J, so I’ve put it on my to-do list to visit again to have a look at all the shops! I really love charity shops. Anyway, Paradice has really lovely decor with off whites, mint greens and chocolate coloured decor. It’s also well lit without a dark corner in sight, as it has large window-walls on both sides of the shop. There’s a kids play area in the corner if you are bringing little ones, and if you are not, the kids are the only things breaking the quiet vibe there. 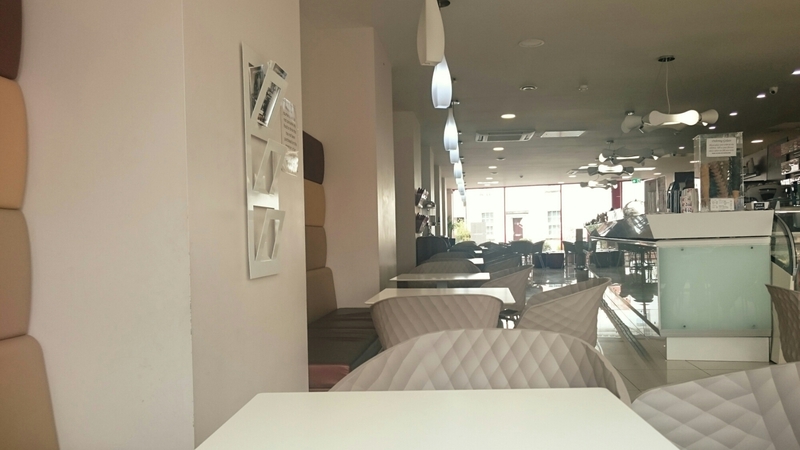 It has an extensive menu with a variety of things to eat. 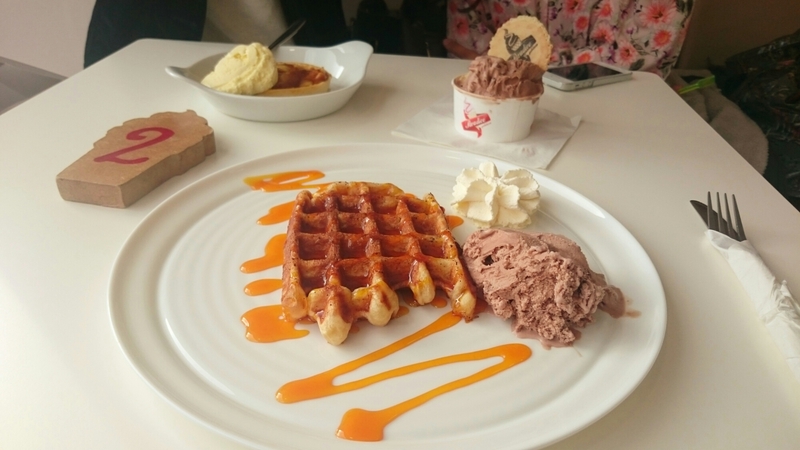 Of course the highlight is the gelato, but they also serve it with crepes and waffles, and they also offer other hot desserts and savoury crepes too. 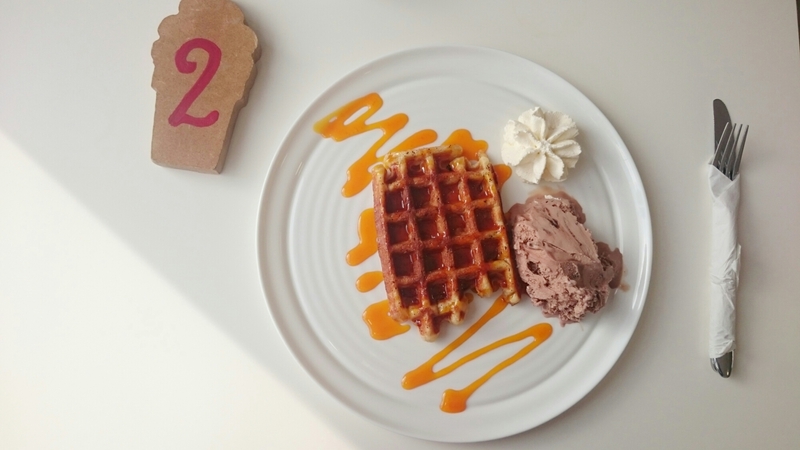 I chose to have a warm Belgian Waffle with mango sauce and a scoop of their Ferrero Rocher ice cream… And it looked amazing. I was a bit worried that mango and chocolate would be a strange combo but honestly the mango sauce adds so much bright colour and is fruity to taste, too. If I were not in public I would have licked the plate clean. 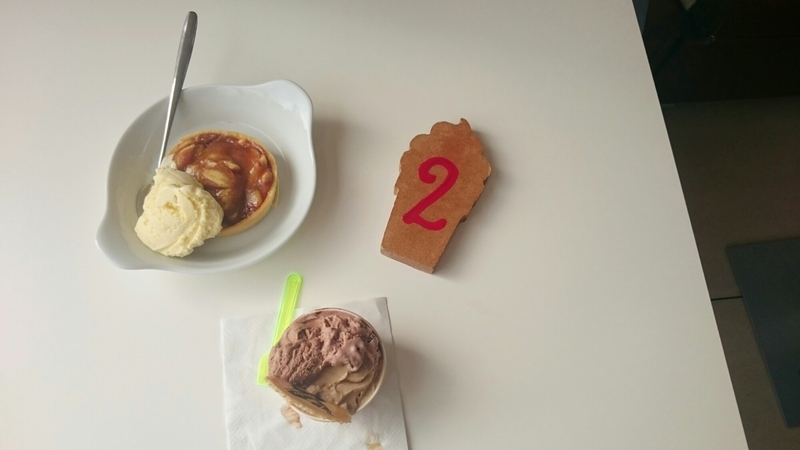 Q chose to have two desserts for lunch, an apple cinnamon tart and some warm cookie dough, whilst J chose to have scoops of gelato – Ferrero Rocher and Cappuchino being her choices. I admit I was tempted by coffee-flavoured ice cream too because I always am, but wanted to try something new.